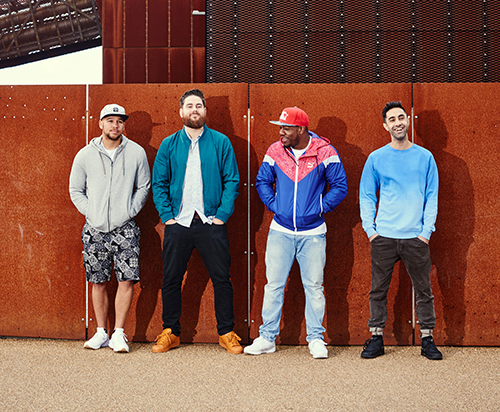 Following the success of their 2013 debut album Home, Hackney quartet Rudimental return. New single "Never Let You Go" is a continuation of the upbeat sound that we heard on previous UK Number One singles "Feel The Love" and "Waiting All Night". It will be interesting to see hear where they take the sound on the rest of the album, but for now you can enjoy the colourful video below. "Never Let You Go" is out now on iTunes, Google Play and Spotify.